An unbeatable, pocket-sized guide to Florence and Tuscany, packed with insider tips and ideas, colour maps, top 10 lists, and a laminated pull-out map - all designed to help you see the very best of Florence and Tuscany. Wander the masterpiece-packed Uffizi or the historic centre of Siena, explore a Tuscan vineyard, sample Florence's best restaurants or visit the iconic leaning Tower of Pisa. 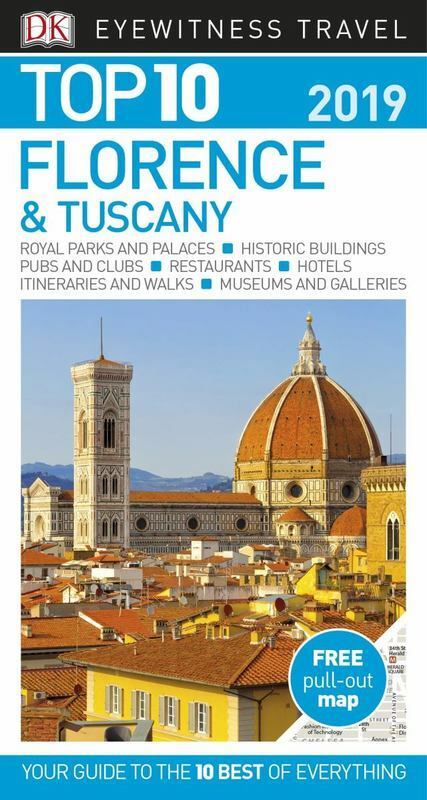 From Top 10 Hill Towns to the Top 10 Medici Rulers - this easy-to-use travel guide is packed with information to help you discover the very best of Florence and Tuscany. Inside Top 10 Florence and Tuscany:- Ten easy-to-follow itineraries, perfect for a day trip, a weekend, or a week- Top 10 lists showcase Florence and Tuscany's best attractions, covering the Uffizi, the Duomo, Pitti Palace, Chianti and many more- Free laminated pull-out map of Florence and Tuscany, plus eight colour neighbourhood maps- In-depth neighbourhood guides explore Florence and Tuscany's most interesting areas, with the best places for shopping, going out, and sightseeing - Colour-coded chapters divided by area make it easy to find information quickly and plan your day - Essential travel tips including our expert choices of where to stay, eat, shop, and sightsee, plus useful transport, visa and health information- Colour maps help you navigate with ease- Covers Florence, Siena, Eastern Tuscany, Northwestern Tuscany, the Southern Coast, Maremma and moreStaying for longer and looking for a comprehensive guide to the region?